“The government may declare welfare measures to blunt the proposed indefinite fast of Patidar quota leader Hardik Patel,” a government official said. Chief Minister Vijay Rupani on Thursday held a meeting with the officials of a newly formed corporation for the welfare of unreserved communities. Sources said that the state government may soon announce various welfare schemes and measures for the people of unreserved communities. 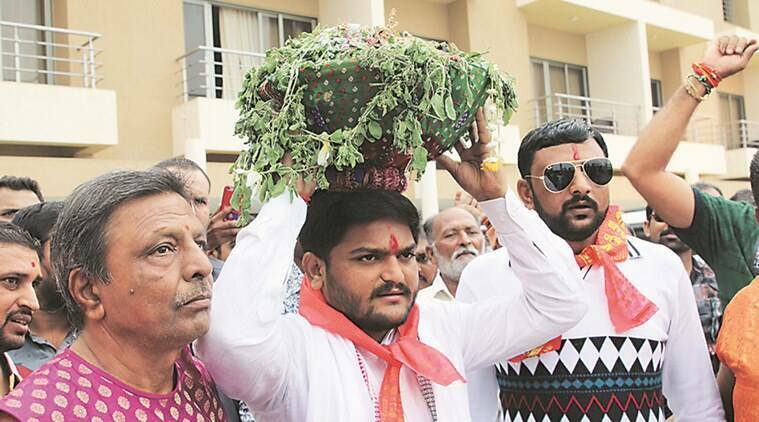 “The government may declare welfare measures to blunt the proposed indefinite fast of Patidar quota leader Hardik Patel,” a government official said, referring to PAAS chief’s scheduled indefinite fast from August 25 over reservation demand for Patidar community. “Yes, we had a meeting with the CM today. But, I cannot divulge details of the discussion. You will come to know about the outcome of the meeting shortly,” said B H Ghodasara, chairman of the corporation. As part of peace talks with agitating Patidar leaders, the government had formed a commission for unreserved communities last year. In May this year, the commission submitted a list of various welfare measures for unreserved classes to the government. The suggestions included relaxing the age limit for competitive examinations conducted by state public service commission and considering students of unreserved communities for Samras hostels that were established for SC, ST and OBC category students.